If you’re new to the police service then congratulations and welcome to the team. As a newcomer we have some special offers that make becoming a member of Metfriendly even more attractive. Take out a Monthly Savings ISA or Ten Year Savings Plan and receive a £20 Amazon.co.uk Gift Card. You should read the Key Information Document for our Monthly Savings ISA carefully before application. You should read the Key Information Document – Ten Year Qualifying and Key Information Document – Ten Year Tax Exempt for our Ten Year Savings Plan carefully before application. We offer free cover for your first 12 months’ service on our Critical Illness Cover with absolutely no obligation to continue after the free period. 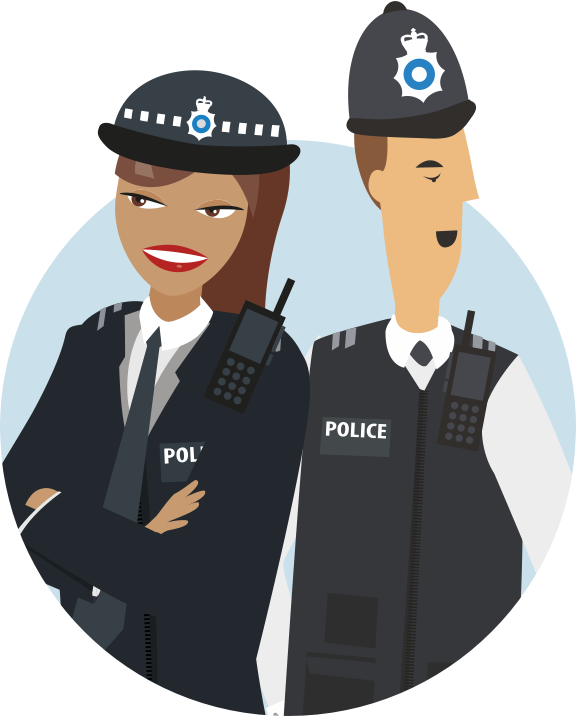 Our Critical Illness Cover will provide you with a tax free lump sum of £16,500 should the worst happen and you have to leave the police service due to injury or you are diagnosed with a specified illness. You should read the Key Features carefully before application. For more comprehensive cover, right now all new joiners to the service can get up to 6 months’ premium-free cover on our Income Protection. You never know what can happen in the service so it’s wise to be protected. And with up to 6 months’ of premium free cover it’s a smart move to get protected sooner rather than later. As with the Critical Illness Cover there is no obligation to continue after the free period. Eligibility for the plans is subject to medical underwriting. If you are accepted for Critical Illness Cover we will provide premium-free cover until you have completed your first 12 months’ service. If you are accepted for an Income Protection plan we will provide premium-free cover for up to 6 months’ service during your first year of service. No premiums are payable from the month we accept your application and until you have completed 12 months’ service for the Critical Illness Cover or 6 months’ service for the Income Protection. A valid promotion code (NSWEBP) must be included on the application form (electronic or paper) or quoted over the phone.